We can make desk pads in almost any size or shape. 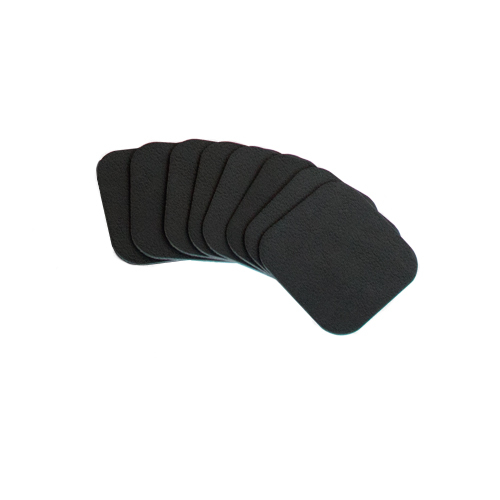 Our one-piece pads are limited by the sizes of the raw materials that we use. However, we can easily fabricate two-piece desk pads to accommodate L shaped desks, oversized desks, or desks with curves in them. 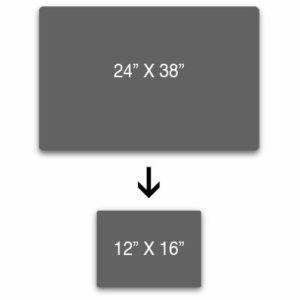 One piece limits: Vinyl: 52″x 96″, Leather: 48″x 60″, and Linoleum: 24″x 38″. Our classic leather pads have a 1/8″ thick hardboard core, are wrapped in full-grain leather, and are backed with non-slip faux-suede. This leather comes from top quality raw hides. Because it does not need to be sanded to remove imperfections, the end product is thick and durable. Our antique leather is precision dyed before being hand distressed to give each hide unique gradients across the surface. 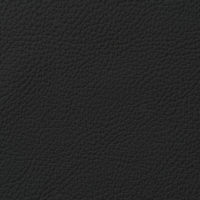 Each color of this leather has a distinct appearance with a worn-in, matte finish. 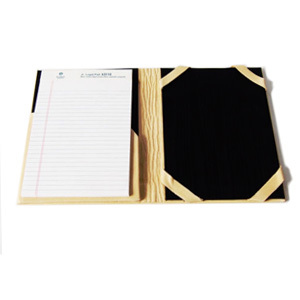 These desk pads are hand wrapped around a 1/8″ thick piece of high quality hardboard and are backed with non-slip faux-suede. 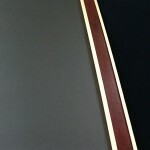 Our full-grain gloss leather pads have a shiny finish and feature deep, rich colors and patterns. 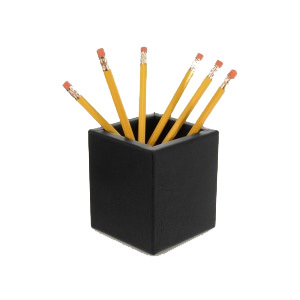 We offer these leathers as fully wrapped desk pads or as accent colors on desk pads with side rails. 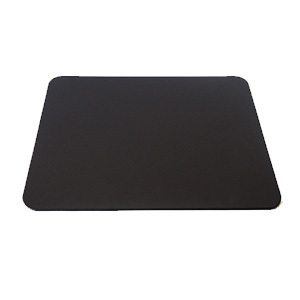 These desk pads have a rigid 1/8″ thick hardboard core and non-slip faux-suede backing. 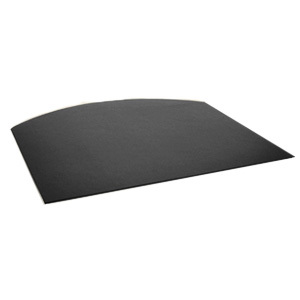 We offer vinyl desk pads in three standard colors with varying textures and patterns. 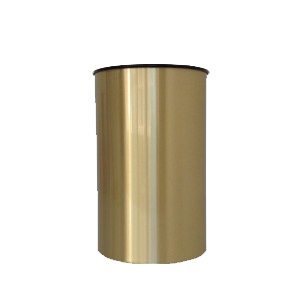 Vinyl has a matte surface with a distinctive leather-like grain, while maintaining a lower price point than leather. It is comfortable to the touch and easy to clean and care for with a little soap and warm water. Linoleum is an all-natural material, made from renewable natural materials. 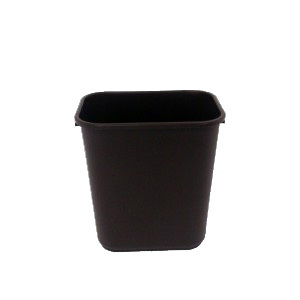 It is biodegradable, antibacterial and extremely hygienic. It doesn’t absorb or show oils from fingerprints or hand-prints, is heat resistant, and is engineered to minimize the appearance of scratches. Its matte surface prevents glare while its faux-suede backing prevents slipping. 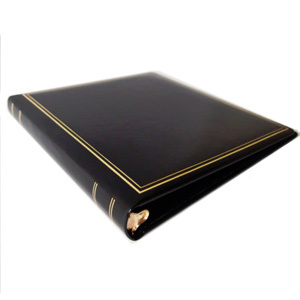 Our faux leather desk pads offer a high quality and environmentally friendly solution to desktop protection. 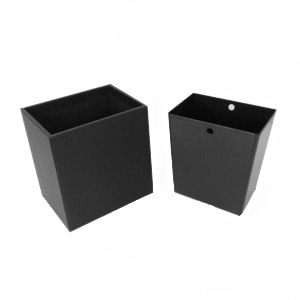 The surface is made of 100% polyurethane while the back is made of 100% reinforced pollex. 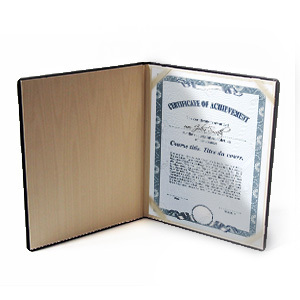 These desk pads are PVC free and pass the Oeko-tex standard 100. Choose faux leather as a nature friendly way to add elegance to your office. 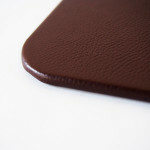 The faux ostrich leather products are made of a poly vinyl surface with a proprietary top coating for extra protection. The backing is composed of a gentle yet durable combination of 65% polyester and 35% cotton. The faux ostrich collection offers the same look and reliability of authentic ostrich leather, with the benefit of a much lower price. 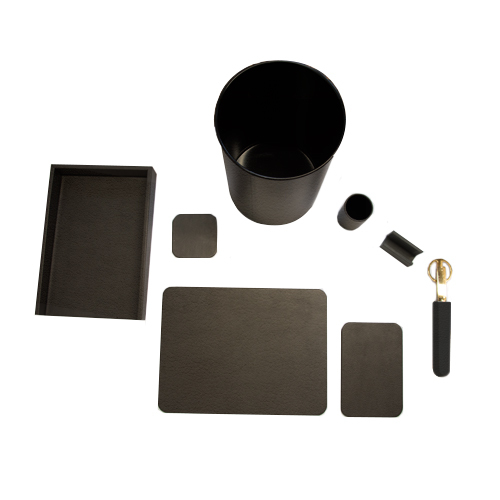 The metallic faux leather products are made of 100% poyurethane on the surface and 100% reinforced Pollex for the backing. 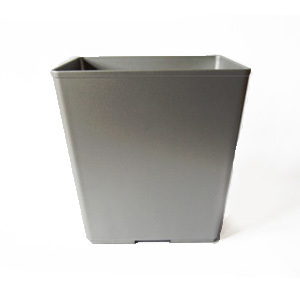 This means that this collection offers exceptional durability, and resistance to cold-cracks and mildew. Not to mention the eye-catching sheen of the metallic faux leather! 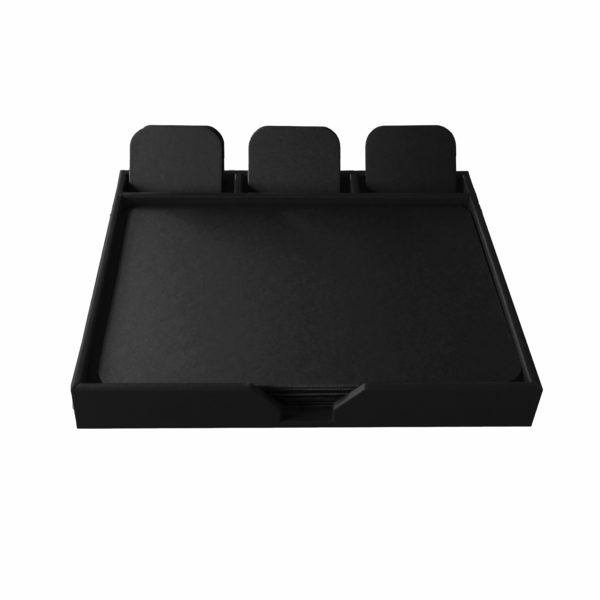 A defining factor in the style of desk pads is often whether or not it features side panels or rails. 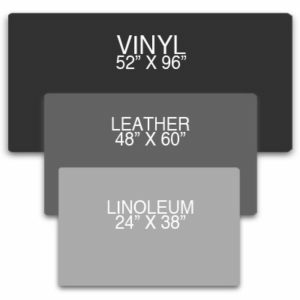 We manufacture and offer linoleum desk pads with any of our standard leather colors. 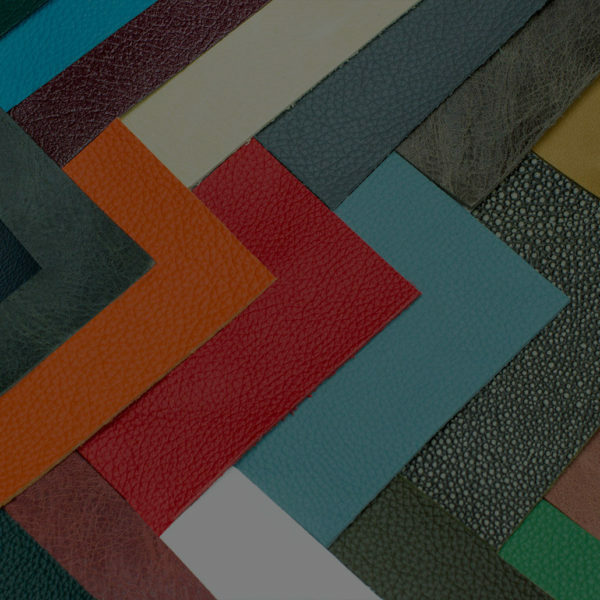 Additionally we offer multiple combinations of leather, vinyl, or linoleum. Contact Us for more information on our personalized options. 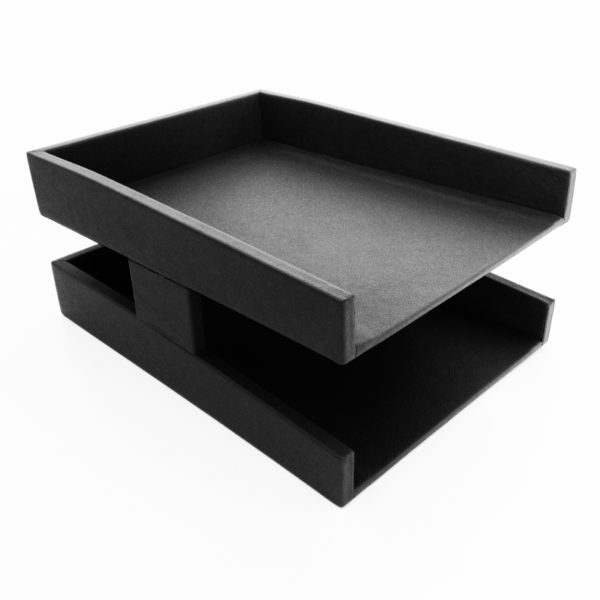 All of our standard desk pads come with 1″ radius corners, but we can easily manufacture desk pads with square corners to fit on any surface. 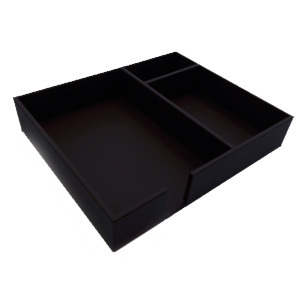 For more information regarding our personalized desk pad services and all other inquiries.